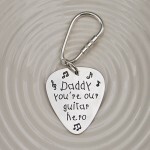 Unique personalised handmade sterling silver plectrum key ring, Give Dad a wonderful keepsake he can take everywhere and cherish those family memories. A sterling silver plectrum will be etched with the message of your choice in a child's writing font which is perfect for messages from little ones to their daddy/dad. 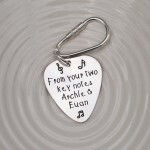 The silver plectrum is suspended from a gorgeous solid silver screw type key fitting. 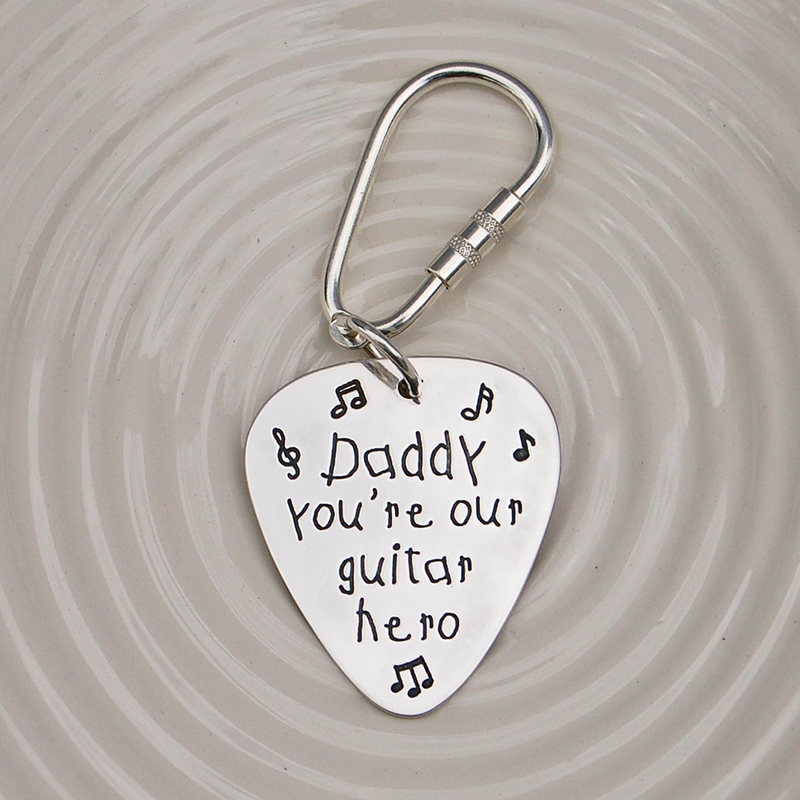 Each plectrum is cut out by hand, skillfully etched and hand polished to make this a truely unique British made gift. 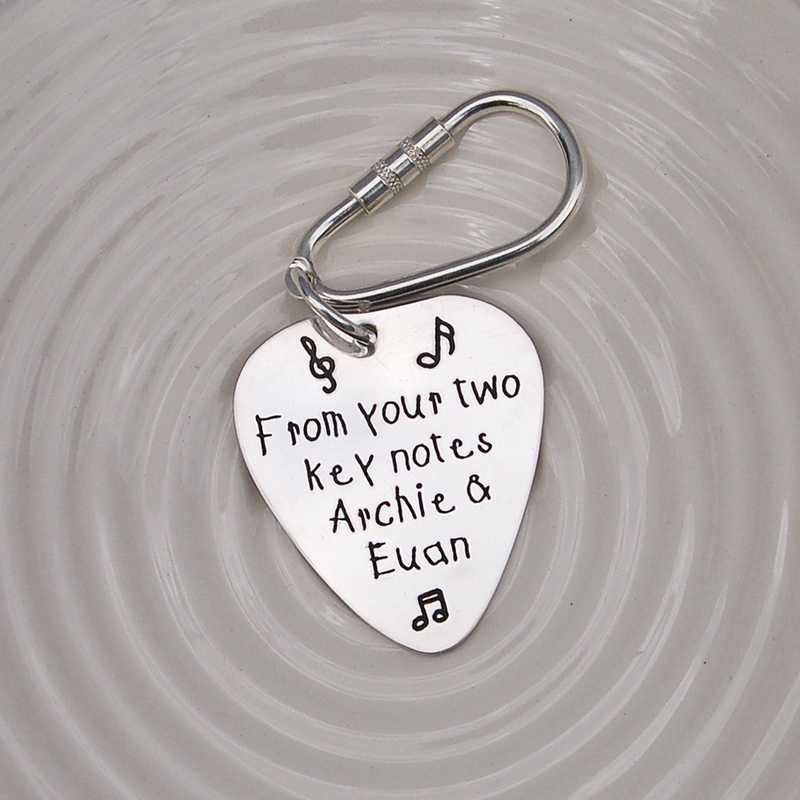 Messages up to 40 characters (which includes spaces) can be accommodated on the silver plectrum and we will add the music notes as shown on the product images unless you request otherwise. All components of this key ring are sterling silver. The plectrum measures 4cm in length and is approximately 3cm at It’s widest point and is 1mm thick.